Kanazawa was not on my radar when I booked this trip to Japan, I originally intended to go to Takayama after my stay in Tokyo and neighboring places like Kamakura, Nikko and Mt. Fuji. I learned about this place when I was researching for budget passes and thought to myself that it wouldn’t be a bad idea to see one of Japan’s renowned garden. However after exploring Kanazawa, I think this city has so much more to offer and is surely worth a visit. Located in Ishikawa Prefecture, Kanazawa is one of the many well-preserved heritage cities that has gained prominence for its entertainment districts, merchant houses, and a renowned garden. 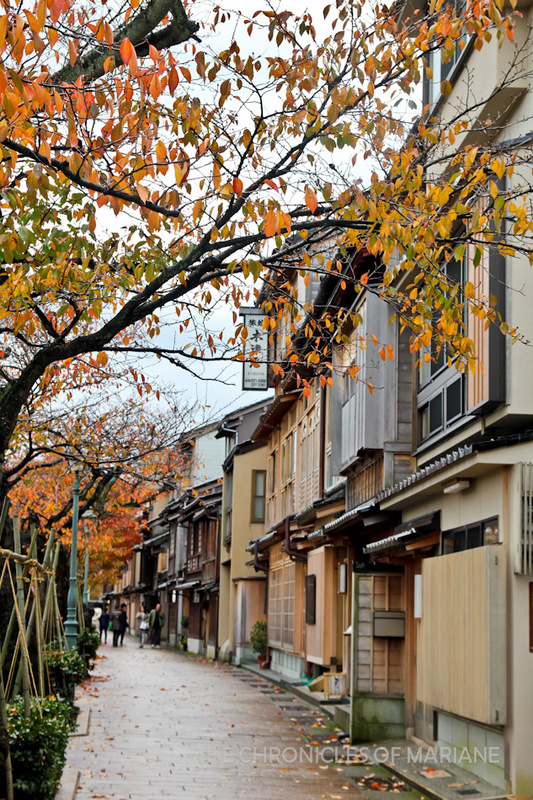 It is slowly gaining popularity with foreign tourists, coined by many as “Little Kyoto” because you can still observe Meiji-period architecture left undamaged by WWII. 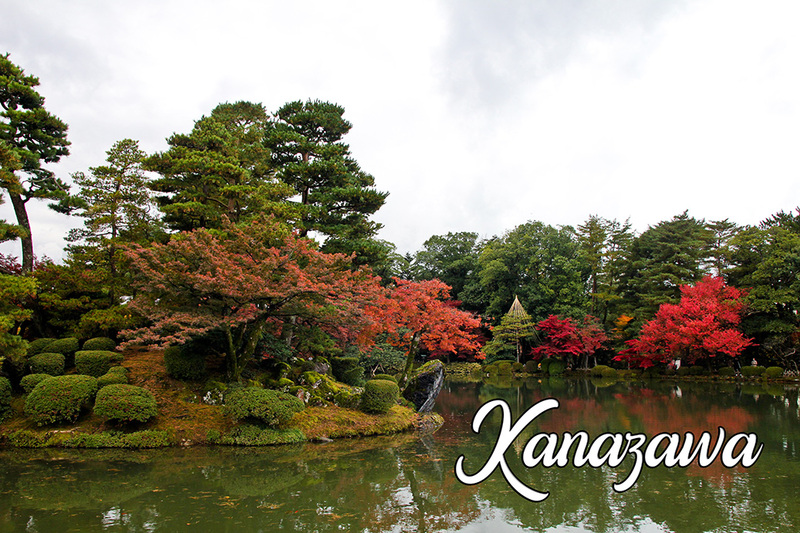 Kanazawa also makes a good base if you are planning to explore Shirawakago. Most places in the country are accessible by train so its almost a no-brainer to just get a train ticket right away. 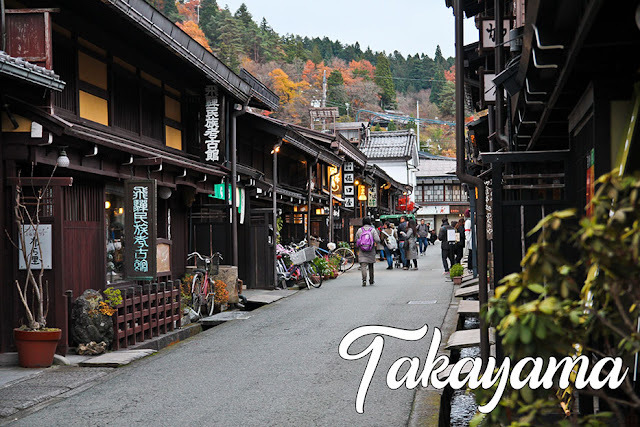 The cheapest fare from Tokyo is about 14,000 JPY, from Nagoya it is 8,000 JPY and from Kyoto is 6,700 JPY. There are also flights through Komatsu Airport served by Japan Airlines and All Nippon Airways. Obviously, I looked for a cheaper option which would be the bus. There are several companies like JR Bus that serve this route, but I chose to go with Willer Express since they have more affordable rates and I could take advantage of the Willer Bus Pass for more discounts. If you are interested to know more, you may read a detailed review here. 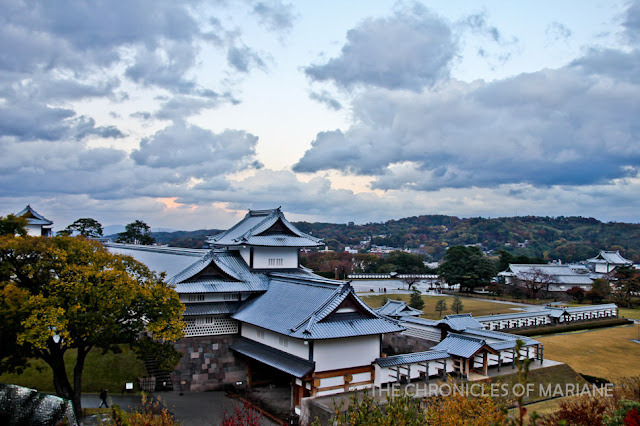 There is a discount pass called the Kanazawa Cultural Attraction Passport that gives access to many cultural spots around the city such as Noh Museum and D.T. Suzuki Museum. It only costs 510 yen for a day and 820 for three days. 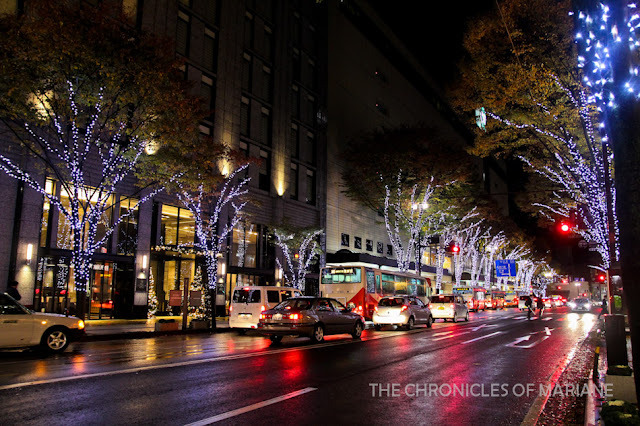 Similarly, the Kanazawa Light Up Bus runs every Saturday evening and is sold for 500 yen for unlimited rides. This takes you to different illuminated sites around the city such as Higashi Chaya. I started my day at Kanazawa Station to inquire at the Tourist Information Booth and buy the loop bus pass. Since it was still early that day, restaurants offering rice meals were still not open for business. For a change, I got breads from a bakery inside the station. 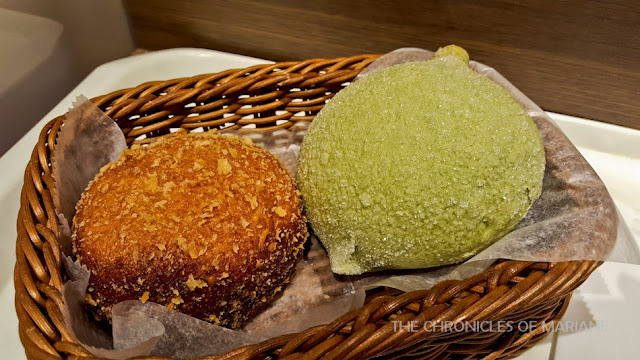 If you are only going to try few breads in Japan, I recommend to give Kare pan (curry bread) and melon pan a try! first time trying kitsune udon - very cheap and filling too! 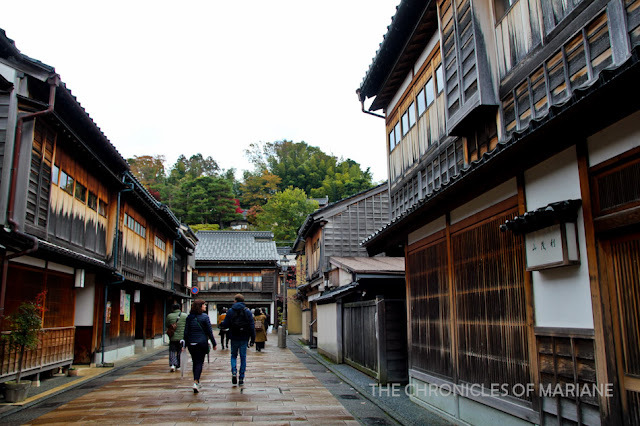 One could spend an entire morning or even the whole day exploring the labyrinth-like streets of Higashi Chaya. During the Meiji Era, these pleasure houses were built originally for "bath-girls" or prostitutes but was later on abolished. The district was legalized again after many years as a geisha district, serving rich patrons by entertaining them with songs and dances. They changed its name to chaya or tea houses afterwards. 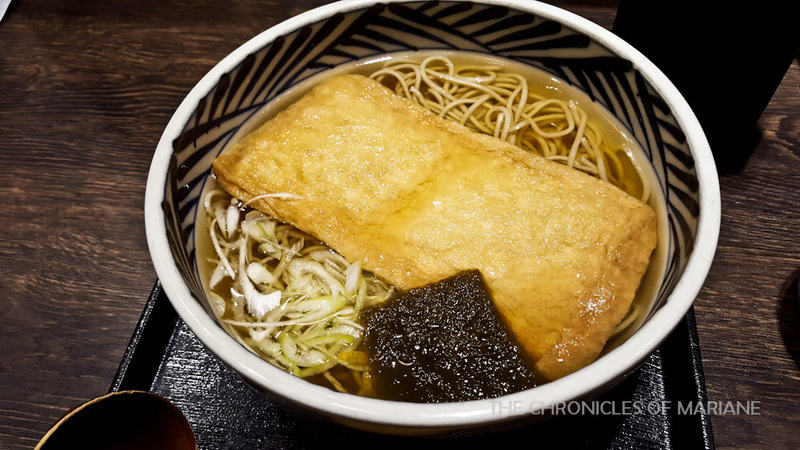 Aside from the largest district of Higashi Chaya in the East, there is also Nishi Chaya in the west. 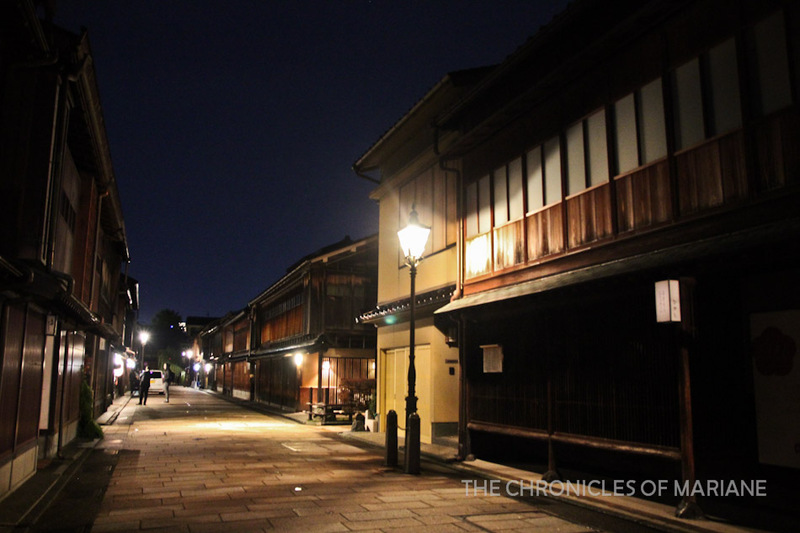 At night, the entire area gets deserted with only dimly-lit streetlamps guiding you on your way. I suggest bringing a tripod if you would like to take pictures. At the present, there are only two tea houses open to public since most have been converted into restaurants or shops. Shima House, which is now a museum, admits for 500 JPY where you could tour around the entire house and see where geisha performs along with several musical instruments. Kakairo House still connects to its roots by serving teas and sweets, you need to pay 750 yen for admission to see its maintained golden Tatami room and observe intricate architectural elements scatted around the house. 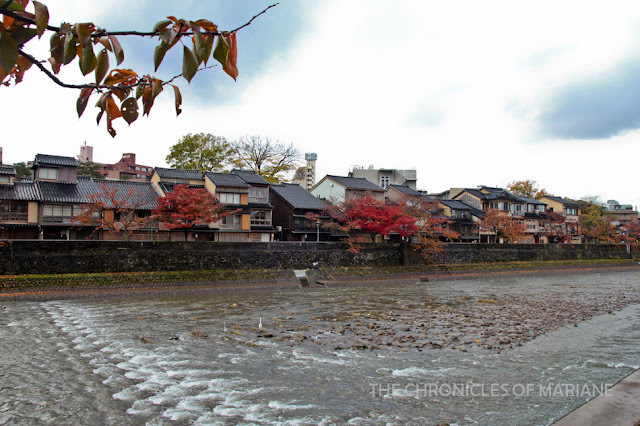 A few kilometers away from Higashi Chaya is another teahouse district called Kazue machi, which I also liked because of its picturesque location along Asano River. Aside from just walking along its well-conserved traditional tea house streets, I also enjoyed touring the many specialty shops in Kanazawa. Though I barely had any cash with me, I was able to sample some products they have for sale. The city is well known for gold production wherein gold is beaten until it is paper-thin in consistency and is then incorporated by artisans in different products and artifacts. I have read that the gold used in Kyoto’s Golden Pavilion and Nishihonganji Temple as well as Shuri-jo in Osaka was from Kanazawa. 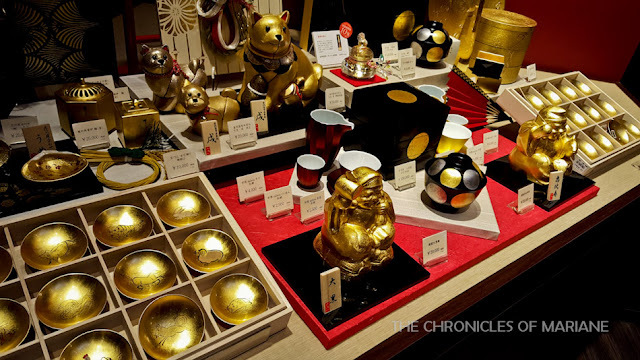 I was able to freely browse at Hakuza Gold Leaf Store where they sell jewelry, dinnerware, house decorations, lacquer ware and even facial care. 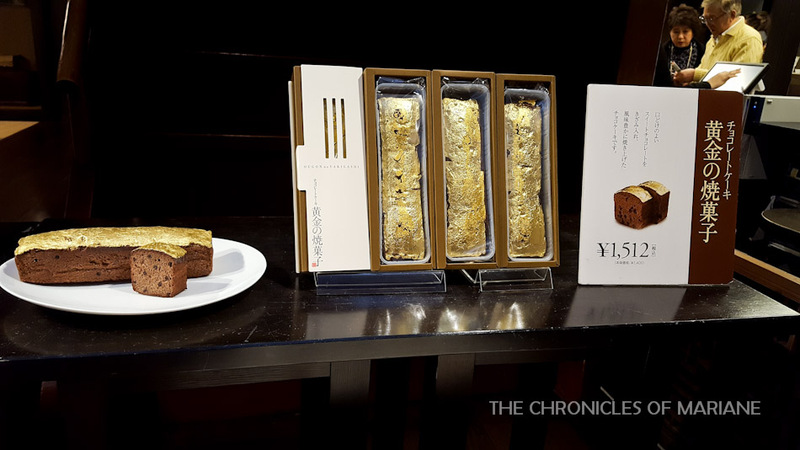 They also add gold sheets in food such as breads and ice cream, though the price was quite extravagant for me to even try. 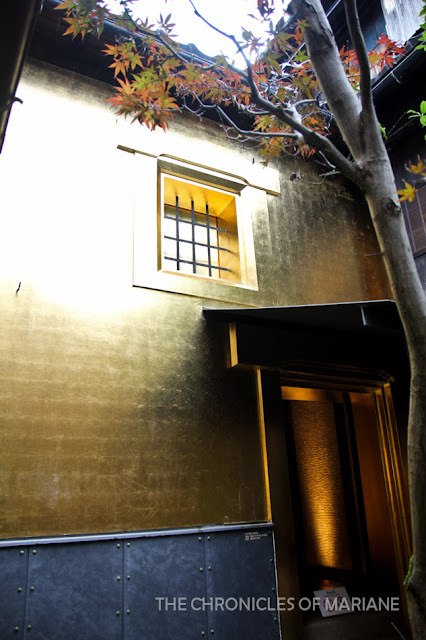 You would also be able to see Ougon no Kura or The Storehouse of gold, a two-storey building covered in gold platinum leaf! Care to sample this loaf with gold? 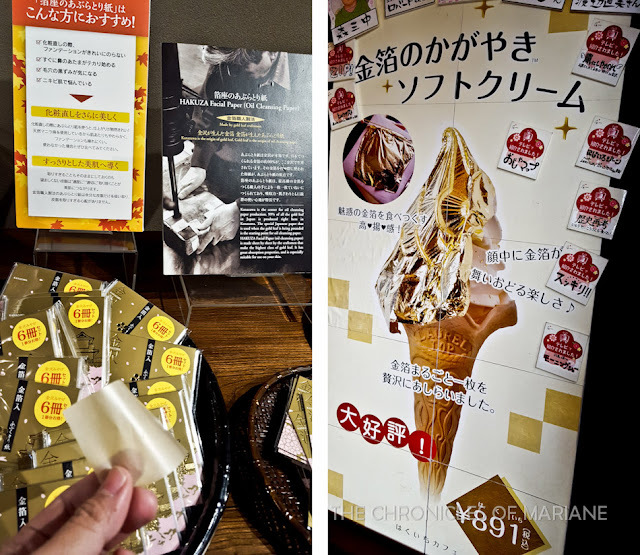 facial sheets made in gold and ice cream with gold again, of course! would you try one for this price? a small storehouse covered in gold! 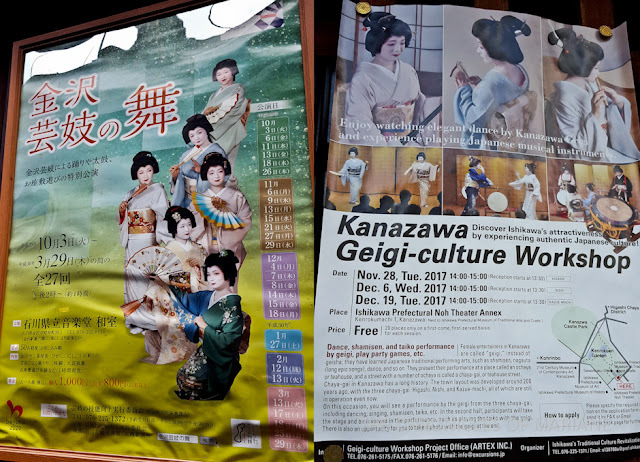 Interested in seeing a geigi (geisha in Kanazawa) performance? 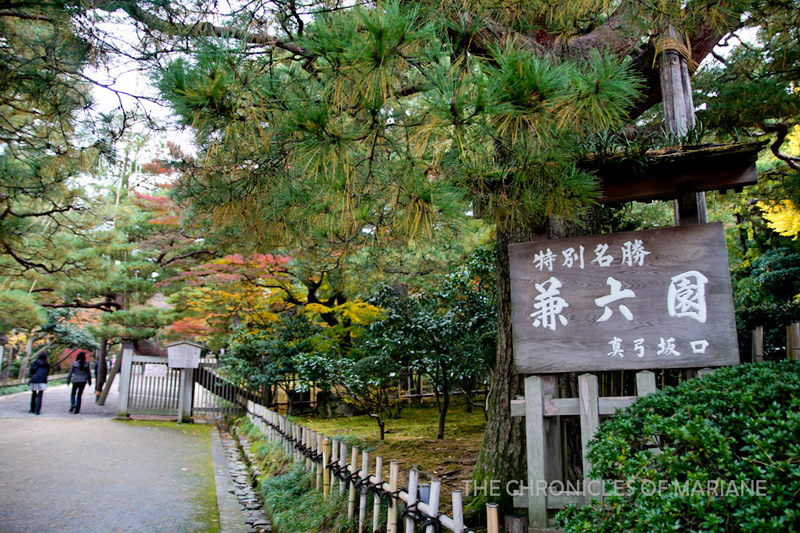 I saw various leaflets while in Higashi Chaya, there is the usual performance at Kakairo Teahouse, during autumn they had it every Monday, Wednesday and Friday with admission prices ranging from 3,500 JPY up to 9,000 JPY. During this time, you would be able to see them perform with dance and a music instrument. There is also some interaction with games and more. Unfortunately, I missed a cultural performance I would have been able to afford. At Kanazawa Prefecture Music Hall nearby the station, they have a geisha performance from artists coming from Nishi, Higashi and Kazue Machi. When I inquired, they were already sold out since they only admit 50 people :( It was 1,000 JPY and in 2017, it started in October until March of the following year for 27 days. Another one was a free slot for a Geigi-culture workshop held at the different teahouse districts, in 2017 it was scheduled on Nov 28, Dec 6 and Dec 19, I would love to see this if only I was still in Kanazawa during these dates. You may email info@excursions.jp to inquire about the schedule and reservation process as they only admit 20 people on a first-come first-served basis. After a brief lunch, I continued my tour at the 21st Century Museum of Contemporary Art. A small museum located nearby Kenrokuen where you can marvel among the works of admired Japanese and international contemporary artists, I thought this was a good break from seeing traditional architecture. 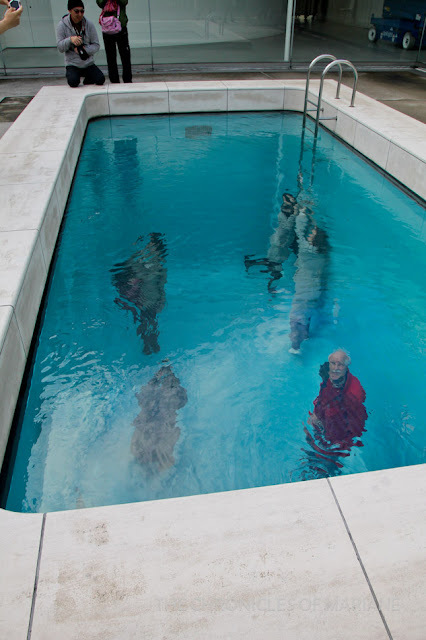 One of their permanent exhibition is “Swimming Pool” by Leandro Erlich. 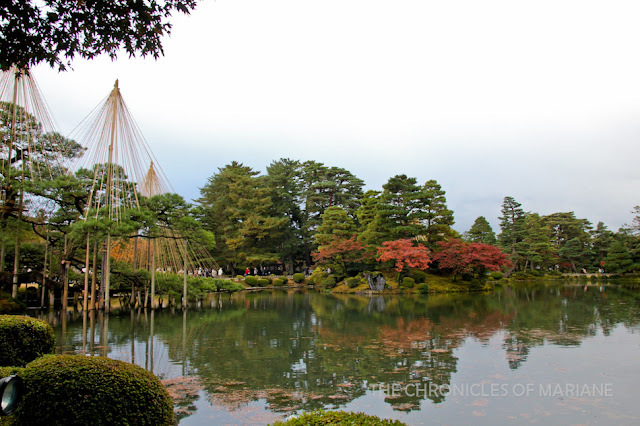 A few minutes away is Kanazawa’s sought-after destination, Kenrokuen Garden deemed as one of Japan’s Three Greatest Gardens along with Mito’s Kairakuen and Okayama’s Korakuen (which I was also able to visit on the later part of this trip). 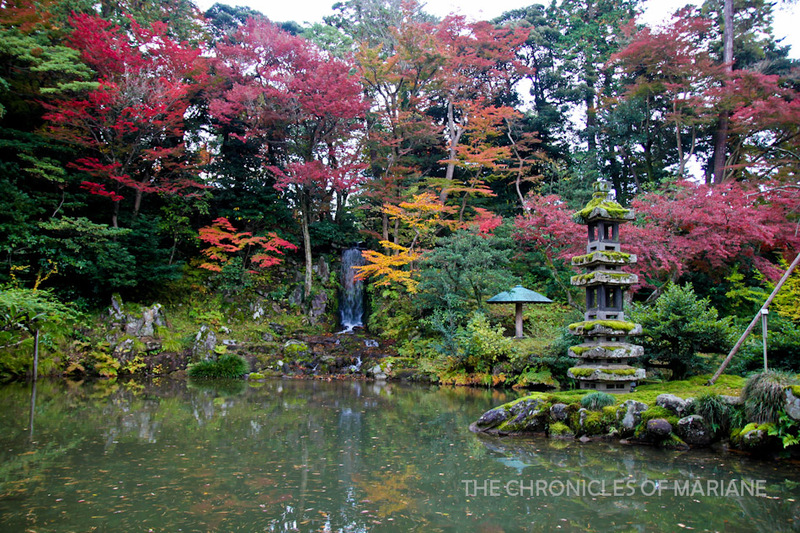 When literally translated, the name means “the garden of six attributes” representing elements that is said to comprise a perfect garden. It was originally built by the Maeda family as an outer garden of Kanazawa Castle. These 10 hectares of land is occupied by an assortment of flowering trees as well as notable landscape designs like bridges, small villas and viewpoint decks. 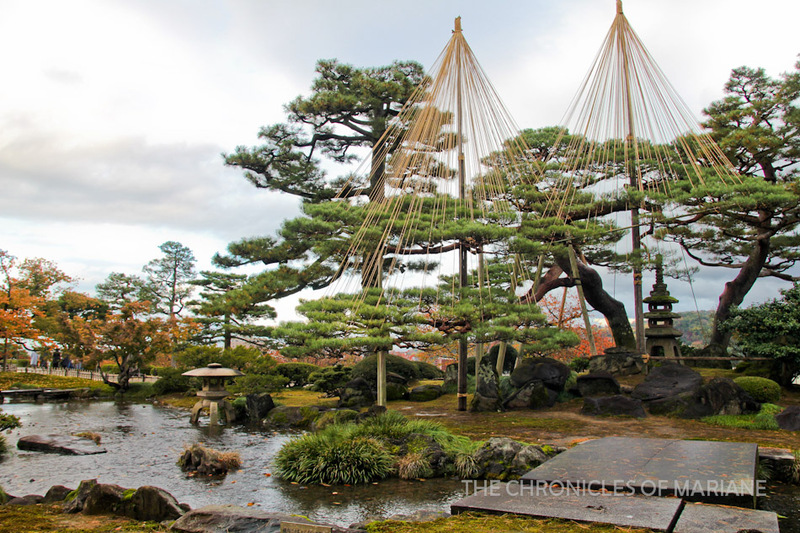 One of its distinguishing features is the yukitsuri – ropes that are connected to trees as protection from the weight of heavy snow preventing it from acquiring damage. Spring is also a good time to visit with the abundance of plum and cherry trees around the garden. 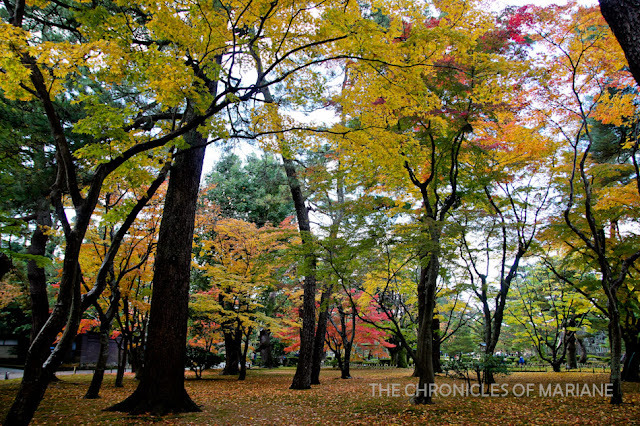 These trees and many other provide fiery autumn colors as well. 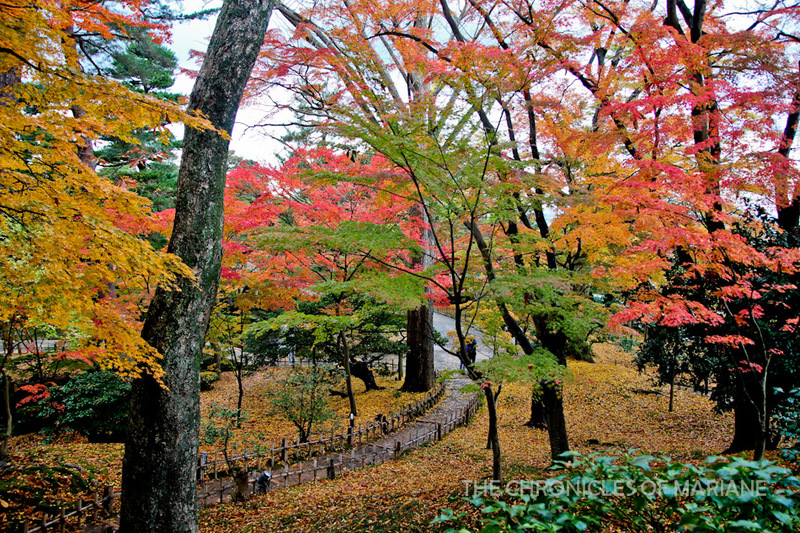 Best time for fall foliage in Kanazawa is around mid to late November. 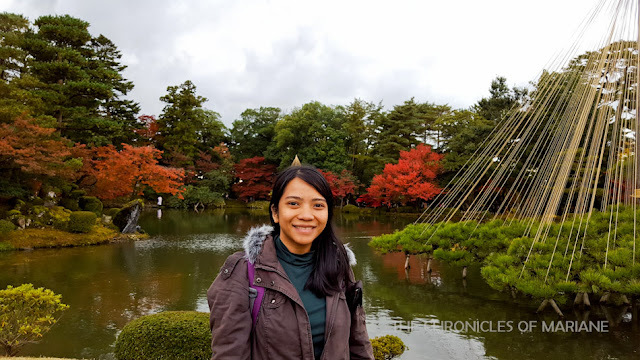 I had to wait until the rain stopped before going to Kanazawa Castle, and just a quick reminder, do not forget your umbrellas when in Kanazawa, as locals say that the weather changes here all the time. 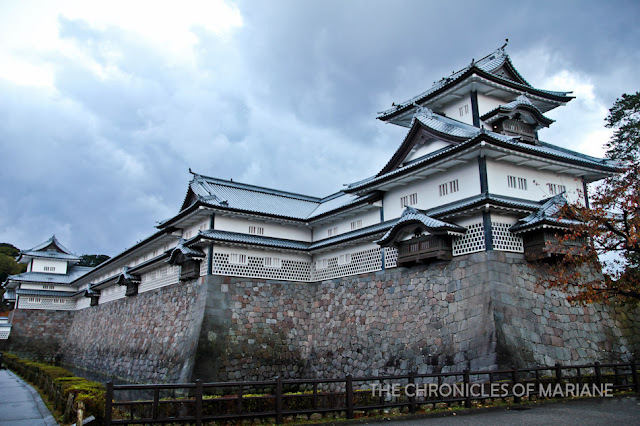 This castle served as the seat of Maeda clan and has faced various damages from fire in the past. The only original buildings are its two storehouses, Gojikken Nagaya and Sanjikken Nagaya, and Ishikawa Gate. I enjoyed the quick stroll and the magnificent view of the castle. 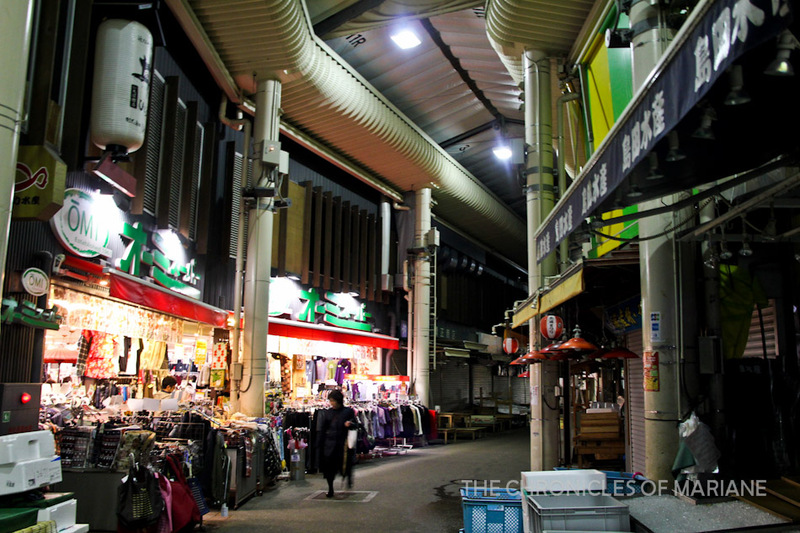 I missed to fully explore Omicho Market as I didn’t know that some markets in Japan close as early as 6 in the evening. 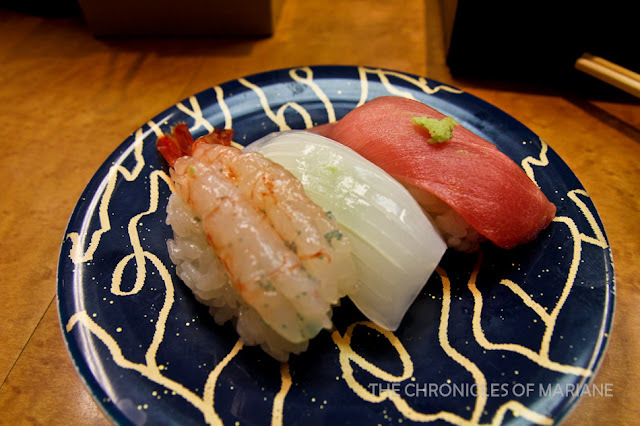 Luckily for me, there were still some restaurants open for business and I was able to sample some of Kanazawa’s prized seafood, which is a must try! I have never tried sushi like this before and finally I think I can use the phrase “melts in your mouth” – believe me, it felt like it does! Anyhow, the market normally has numerous stalls selling clothes, local delicacies, household items and much more. Go here early if you want to catch the action. 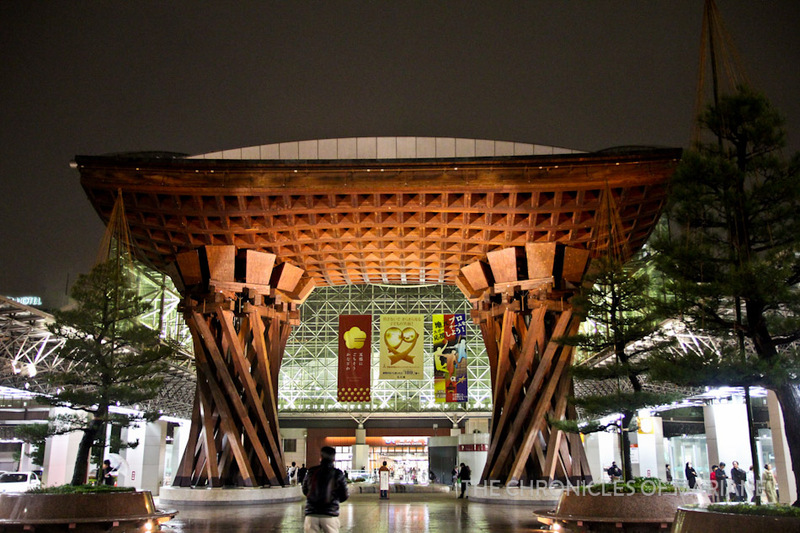 I decided to walk aimlessly just to get a feel of the city and my eye caught this unique looking structure called Oyama Shrine. Built in honor of Maeda Toshinaga, it is guarded by the striking Shinmon Gate that was designed by a Dutch architect incorporating Asian and European influences. Later, I learned that this gate was previously used as the entrance to Kanazawa Castle’s palace but was moved to this shrine after. 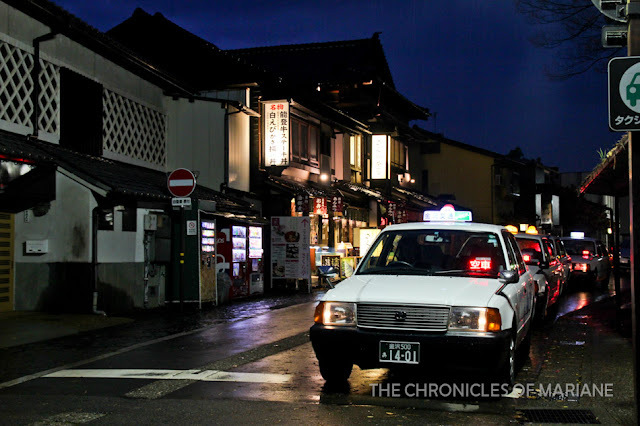 Kanazawa still has so much to offer, and I felt bad that had not much time to explore them. 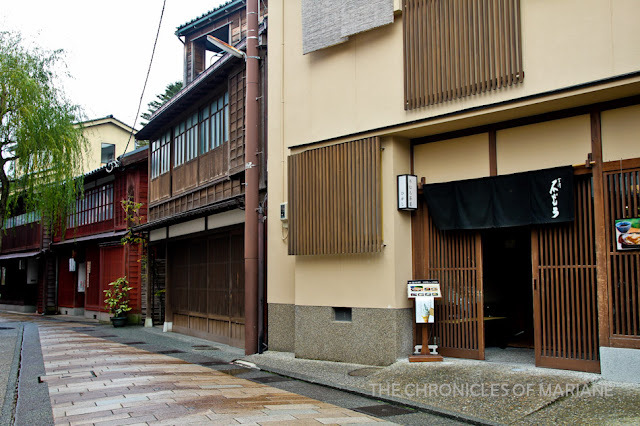 The Nishi Chaya is another popular geisha house located west of Kanazawa. 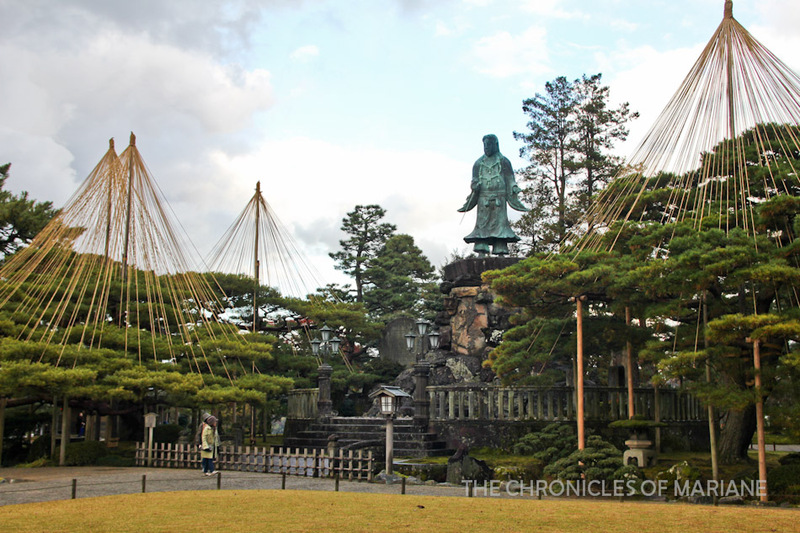 Also, just a few meters shy from Kenrokuen is Seisonkaku Villa, a feudal lord residence. 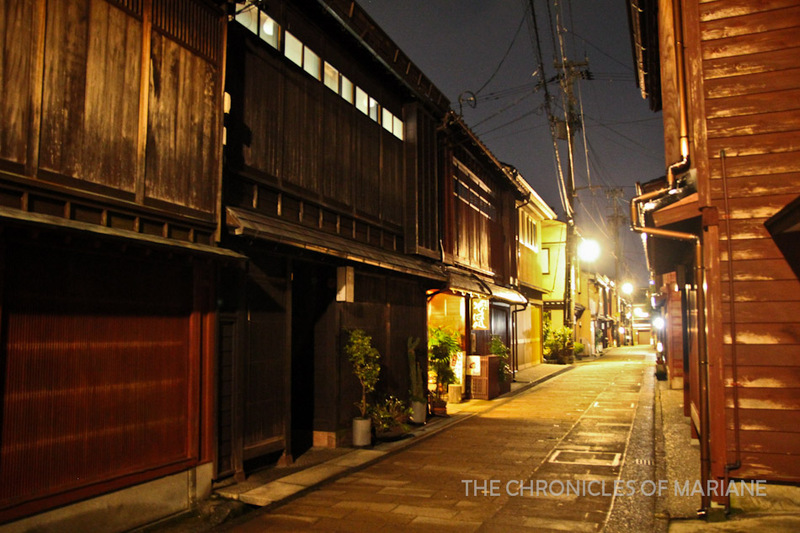 There are also lots of remarkable merchant and samurai houses in the city such as Nagamachi Samurai District. 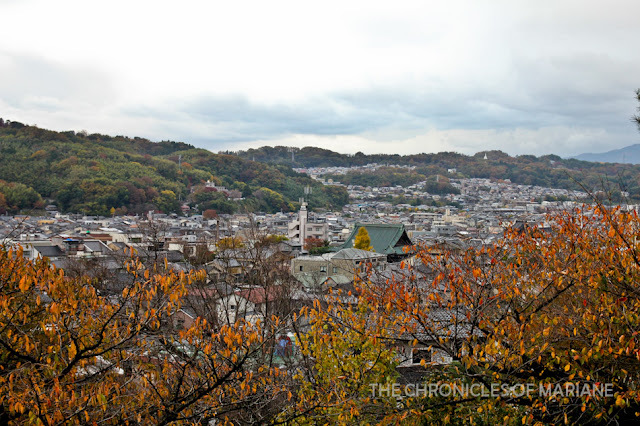 Due to my lack of planning and foresight, I was not able to see Ninja Temple or Myoryuji Temple. 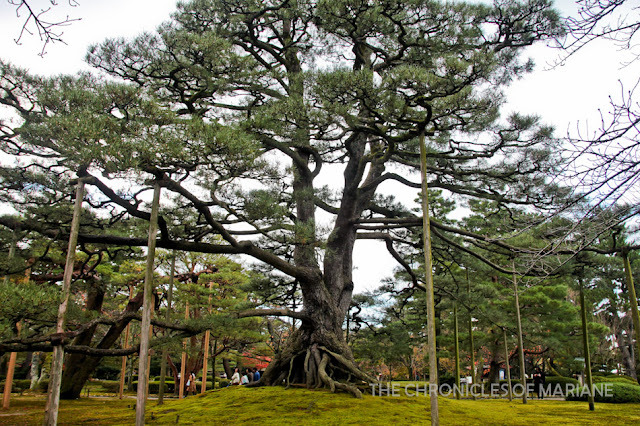 To visit, one needs to reserve a tour which is only done in Japanese for 1000 JPY. 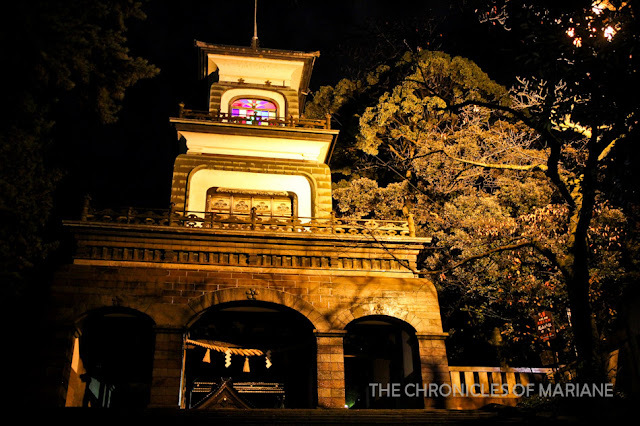 They showcase the features of this one-of-a-kind temple with trapdoors, hidden rooms and even a suicide chamber (for seppuku). I still cannot believe I missed this place.. oh well.